21 Dec Who did Santa visit today ? 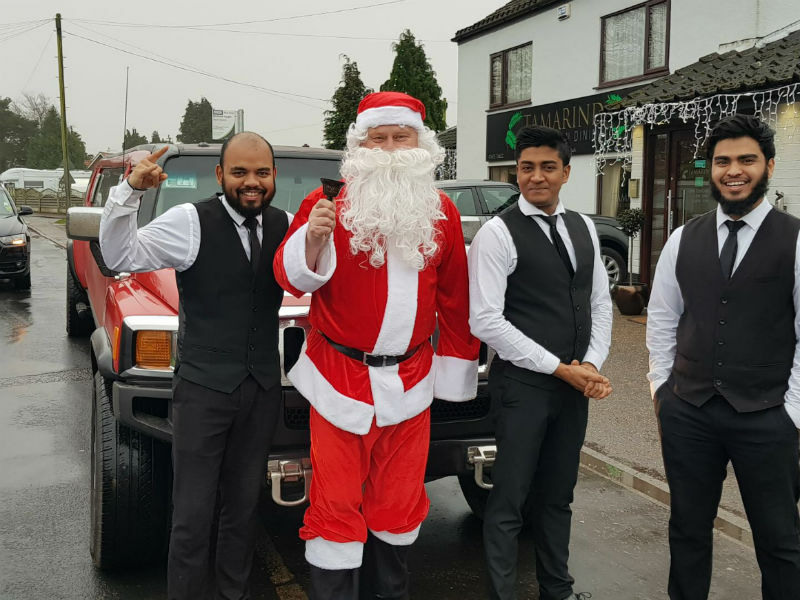 Santa and the Hummer Limousine ..
Santa had such a busy day today substituting his lovely trusty reindeers and sleigh for our Hummer limousine to deliver goodwill to some lovely businesses around the Norfolk area. We have managed to obtain photographs of some of the people & places Santa visited and we have posted a selection of them on our facebook page for all to view, The photographed stops were … The Surrey on Surrey street, top recruitment agency Contract Personnel Ltd, we then whisked off to the EDP office to entertain the lovely EDP Bride and Norfolk & Suffolk Bride teams, Norwich City Football Club was the next stop followed by The Farmyard restaurant on St Benedict’s, We then travelled to Sprowston Road to see Toyota specialist Roy’s Motor Company, The Best Western Plus Oaklands Hotel was the next stop followed by the florist Flower Power, We then went to the Blofield Car Wash and Norwich Camping before ending todays trip at the Tamarind Fine Indian Dining in Blofield Heath. A very merry Christmas to you all !! !